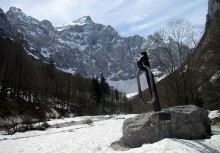 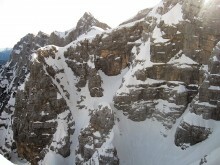 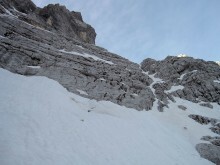 Currently, there are perfect conditions in Slovenian route in Triglav North Face. To keep the ascent interesting, I climbed the Direct variation of the upper part, which offers rather exposed climbing on Slovenian tower on the end. 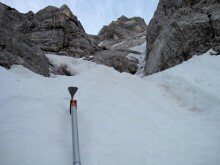 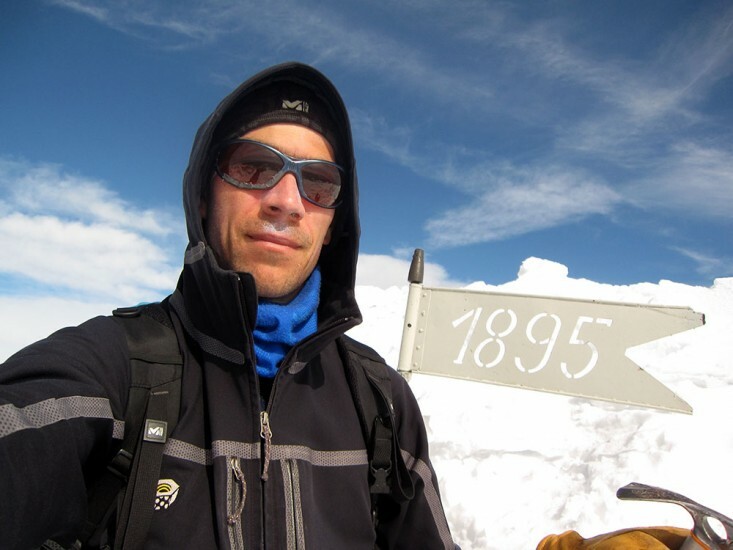 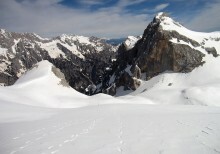 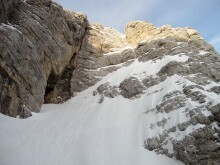 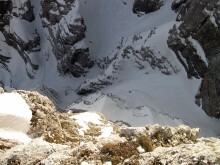 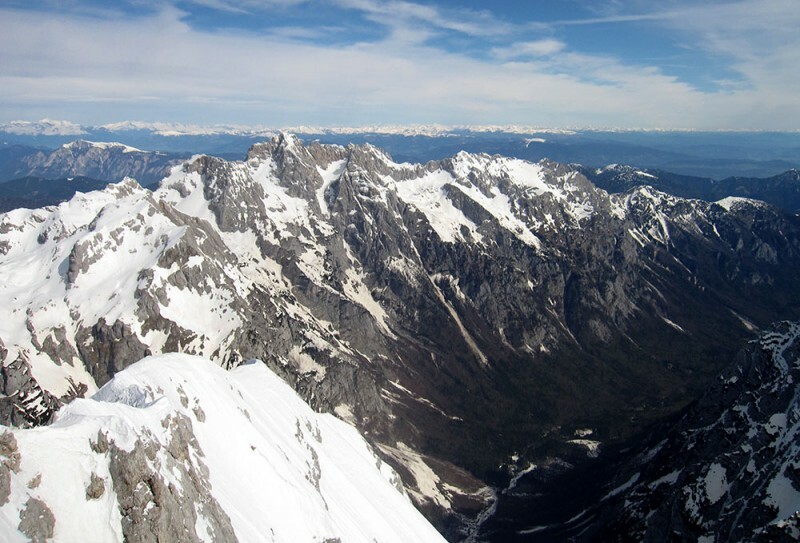 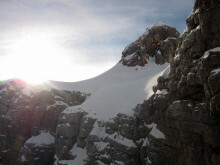 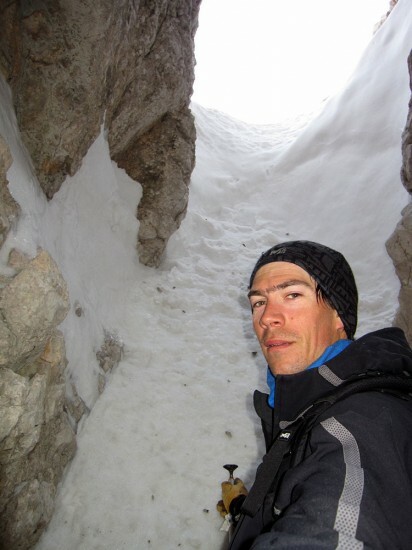 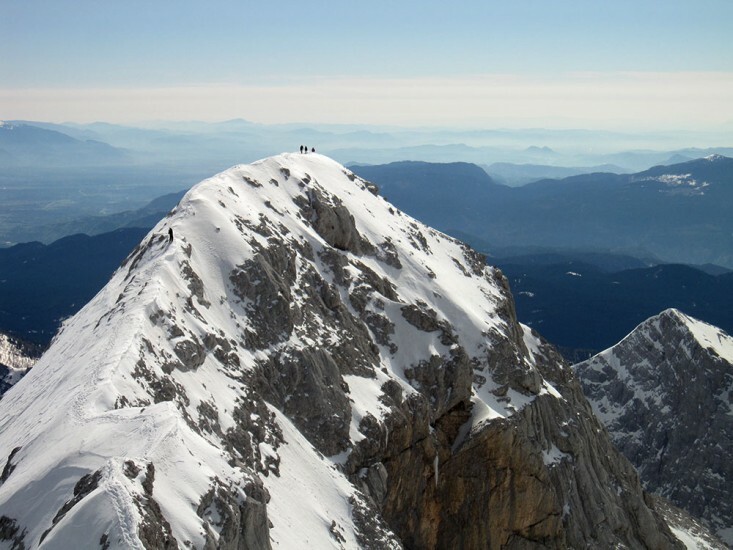 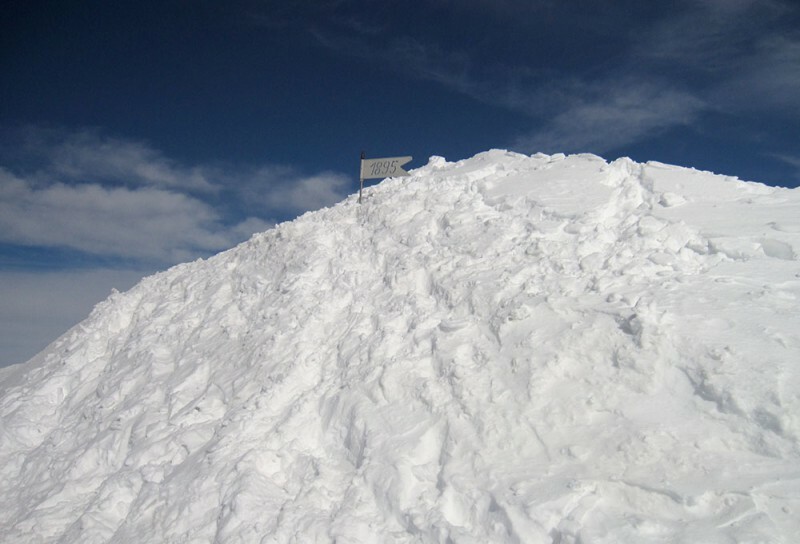 I can also recommend the classic winter ascent on the summit of Triglav. 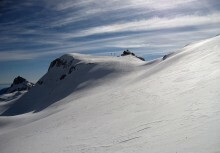 Proper winter is still there!